Acupuncture is actually just a part of Traditional Chinese Medicine (TCM); however, it is the most widely know part in the United States so. This page focuses on it first. The idea of using needles to improve your health or relieve pain is both captivating and terrifying. For some people so this idea has caught on and more and more people are finding their way to holistic clinics like ours in Fort Myers Florida, and are getting great results. Acupuncture has been around for more than a thousand years as part of (TCM), it is in the realm of Natural Medicine. It is not clear where or how it started but over this extended period of time the techniques and procedures have been constantly improved. Even today research continued to improve this medicine so it continues to evolve and become more tuned to the needs of modern society. Chinese Medicine is the oldest, professional, continually- practiced, literate medicine in the world. Traditional Chinese Medicine (TCM) literature stretches back almost 2,500 years. Currently 1/4 of the world’s population makes use of it. TCM has been documented by the best educated and brightest scholars in Chinese history. These scholars recorded their theories and clinical experiences from generation to generation. It is estimated that there are between 30,000-40,000 books on Chinese Medicine still in existence which were written before the turn of the century. Since then, thousands more books and articles in professional journals have been written and published in the People’s Republic of China, Taiwan, Singapore, and Hong Kong. We practice acupressure in our Fort Myers office in involves stimulating points on your body using pressure, usually with the fingers. This is used when patients are afraid of needles and often for children that are also often afraid of needles. It can be very effective, however it is limited because the pressure is applied with the hands and so you can only reach points with two hands. An treatment where a point on both feed and a point on the head is called for will not be possible with the acupressure method. Of course pressure could be put the foot points and then later pressure on the head points. 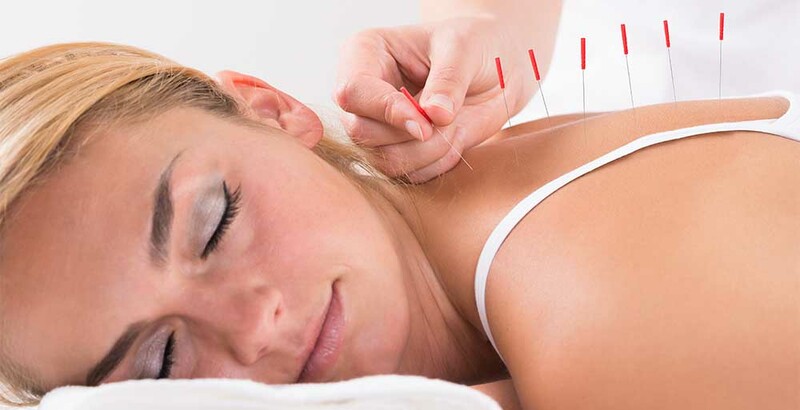 However, with acupuncture the needles can be put in all at the same time. Moxibustion involves stimulating points on your body using heat from burning herbs. The points used in moxibustion are the same as those used in acupuncture. The main herb being burned is mugwart. It has a smell that is somewhat similar to marijuana and some people can confuse the two. However, it is nothing like marijuana, it will not make you high. I use very little of this in the Fort Myers clinic because I have neighbors in the building and don’t want to disturb them, also some people do not like the smell of the burned herb. I do provide the moxa sticks to women that come to the clinic to induce labor. They can use it themselves on points that I teach them to help induce labor or on points to help turn a breech baby. For thousands of years Chinese herbs have been used and modified to increase their effectiveness. They work to restore balance in the body. Each contains a combination of different herbs in ratios found to eliminate side effects and enhance the desired properties of the herbs. Chinese herbal formulas are used for both acute and chronic conditions, some being taken for only days or as needed and others for several months to help the body help itself. Food as medicine is a key element in achieving balance and your practitioner is likely to have some suggestions about your diet. In our Fort Myers clinic, we offer a wide range of services to help people change food choices and eating habits. We have classes and one on one consultations to educate clients on what to do, how to do it and when to do it. Dealing with food is particularly difficult to do even though it is easy to say “just stop eating so much” We help clients make the transition to a more healthy set of choices through education, coaching, and follow-up. Tui-na or Chinese massage may also be found in most clinics. This massage helps restore balance. This is a form of massage that is focused on balancing the body. It is not the soft feel good Swedish massage, This massage usually does not hurt but it can be a little uncomfortable especially if the patient is injured. Care is taken when working with an injury to minimize the discomfort. Exercise in the form of Qigong or Tai Chi may also be recommended by your acupuncture physician. We also recommend walking and stretching exercises. Many issues are a result of muscle weakness and strengthening is one way to support an injured area. When practiced correctly by trained, qualified professional practitioners, acupuncture and Chinese herbal medicine are extremely safe. In fact, when practiced correctly, they have no side effects. If a patient reports side effects from a Chinese medical treatment, the practitioner modifies the treatment until there is healing without side effects. This is because Chinese Medicine seeks to restore balance to the entire person, not just a piece or part. Side effects mean there is imbalance which needs to be corrected. What can be treated with Traditional Chinese Medicine? Chinese Medicine treats the full range of diseases, acute and chronic, traumatic, infectious, internally generated and emotional problems. In TCM these conditions are described differently but here is a sort list of conditions treated by TCM. Also, Chinese Medicine is an excellent and effective treatment to employ at the onset of any disease… for diseases which Modern Western Medicine either does not understand or for which it has no effective treatment. Chinese Medicine is often used in conjunction with Western Medicine to speed up the healing process.